IIoT is quick rising as a future ready idea all over different sectors that convey sensor-based estimations for decision making and analysis. Automation has re-imagined the worldwide industrial and production landscape along with semiconductor technologies becoming the dominant focal point over a huge number of industry applications. The need for smart sensors and related advancements is probably going to stay on a high development direction, with requirements pouring in from rising and technologically aware markets, for example, South East Asia, China, and Japan. 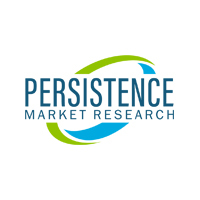 As per Persistence Market Research’s latest market research published show that the worldwide market for smart sensor revenue will ascend from an expected US$ 26 Billion through 2018 end to over US$ 82 Billion before the end of 2026, bringing about a expansion rate of 15.3% amid the eight year period 2018-2026. Asia Pacific is likely to be a foremost benefactor towards this development, with expanding acceptance foreseen to be experienced over the automotive sector in the region. The U.S is likely to keep up the foremost position in the worldwide market for smart sensors, attributable to the existence of huge worldwide players working in the smart sensor space in the nation. Noteworthy development potential exists in nations, for example, China, India, and Japan overwhelmingly because of the consistently expanding need for smart sensor innovation from the manufacturing and automotive sectors in these nations. Multiplication of the IIoT, expanding utilization of smart sensors in wearable gadgets and incorporation of sensors in supply chain management are a few aspects fuelling the overall market growth. IIoT is quick rising as a future ready idea all over different sectors that convey sensor-based estimations for decision making and analysis. Utilizations of sensors in inspection, testing, and system assembly lines are quickly expanding in the production sector and this implementation is additionally driven by consistent advancement in sensor technology. A quickly developing need for automation in the process production sector is likely to drive revenue development of the worldwide market in the approaching years. The utilization of smart sensors in wearables has been seeing expanding footing recently. Smart sensors discover application in a few wearable medical devices and are utilized in smart biomedical sensing, sensor fusion, and blood glucose monitoring, to give some examples. Technological leaps forward in sensor technology have made new roads in medical wearable technology. These devices with installed smart sensors send data regarding patient health to caregivers and healthcare experts, thus speeding the way toward directing medical aid. The selection of smart sensors in healthcare applications will upsurge in the approaching years, henceforth boosting revenue development of the worldwide market. Various players in this market have begun taking more interest by investing in partnerships and product innovations & launches. For example, during March 2017, Vishay Intertechnology initiated an incorporated ambient light and automotive grade proximity sensor for gesture recognition. This sensor, in addition, provides gesture detection in consumer electronics, for instance, tablets and notebooks.